Lock in a great price for Monkey Mansion Jungalows and Tours - rated 8.6 by recent guests. It was just perfect for a stay near the National Park. Bastian, the manager takes care of you the best he can and does an amazing job. The staff is beautiful. They serve the most amazing Thai food. So delicious! I would always recommend to go there. The staff is very friendly and helpful. We enjoyed the facilities full of nice plants and hammocks. We especially liked the amazing freshly cooked food. The communal area is good but needs some fans as it is very hot. The two day tour they offer is good but the overnight stay is in the very western end of the lake , you do not stay in amongst the spectacular scenery, it is a distant view. They will lend you a dry bag and torch for the tour. Staff are very friendly but I would recommend other places. Bamboo Huts had new AC rooms on special for an extra 150 b. We liked the atmosphere - it is a very casual and relaxing place! 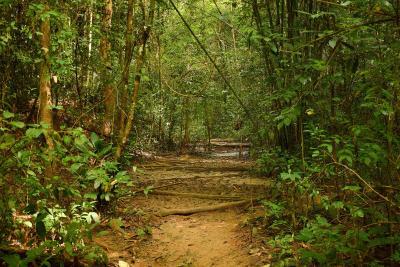 You do feel like you are near the jungle because of the sounds and animals around. There was a naughty monkey in the hotel too! We also enjoyed the vegan food from the restaurant! Staff were friendly and helpful! Great music! This was my second stay in the accommodation and also this time the stay was as excellent as two years before. The food in the restaurant is great. The staff is very nice and friendly. The tours were all well planned and we were lucky to be on the road with very good guides. The staff, atmosphere and look and feel of the area. They also care about the environment so they do everything to help it! Plastic free!!! Awesome place! Basic and clean accomodation. There is a hangout spot where you can eat, chill in a hammock, read, have a drink or a chat with the staff. Food and the home made iced tea are great. Everything you need is available. Staff is very very friendly and helpful. Bastian helped us check out and plan the best tours for us. He was very clear on what (not) to expect during the tours, which made the whole experience even better. The tours are very carefully selected and all support to the local community. 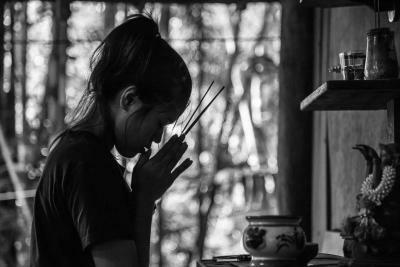 The ones we did (single day jungle trekking, canoeing, elephant sanctuary, one night on the lake in the national park and thai organic cooking class) were very personal and an experience we won’t forget. You can really feel that these people put their hearts and souls into this place. @The Jungalow crew thanks so much for everything and good luck on your project! Very beautiful place. We stayed in a basic bungalow with our own bathroom. The food in the restaurant was also very good. Staff is friendly and help you with all your questions. 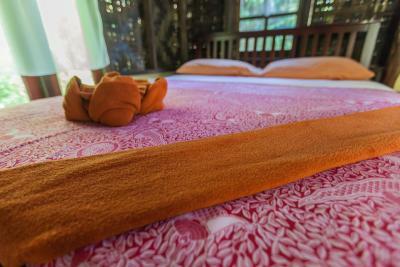 Monkey Mansion Jungalows and Tours is located 1,000 yards from Khao Sok National Park. It features a private garden with plenty of plants. Mountain views can be enjoyed from the terrace. Free WiFi access is available in public areas. Each bungalow here will provide you with a private entrance, a balcony and an en suite bathroom. Extras include a safety deposit box, a fan and cleaning products. 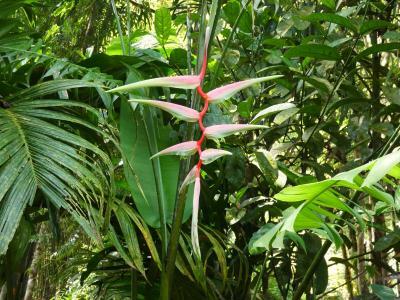 At Monkey Mansion Jungalows and Tours you will find a tour desk and an on-site shop. 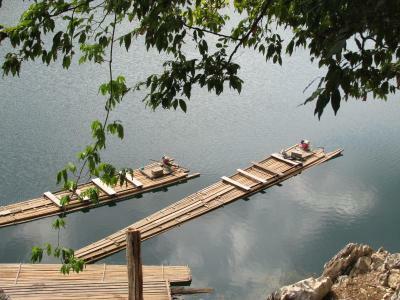 An array of activities can be enjoyed on site or in the surroundings, including canoeing and hiking. 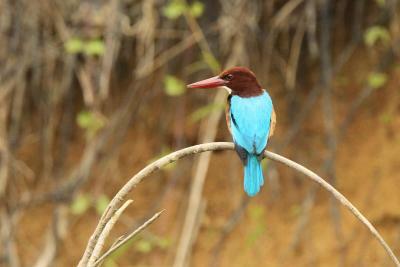 Boat or wildlife tours can be arranged. The property offers free parking. 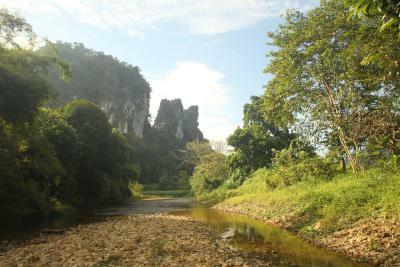 This property also has one of the best-rated locations in Khao Sok! Guests are happier about it compared to other properties in the area. 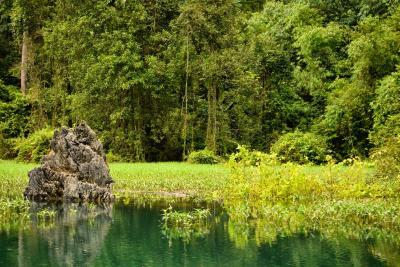 This property is also rated for the best value in Khao Sok! Guests are getting more for their money when compared to other properties in this city. 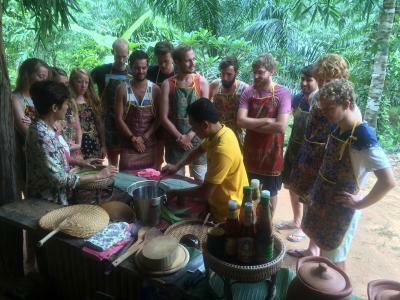 Monkey Mansion Jungalows and Tours has been welcoming Booking.com guests since 10 Dec 2014. 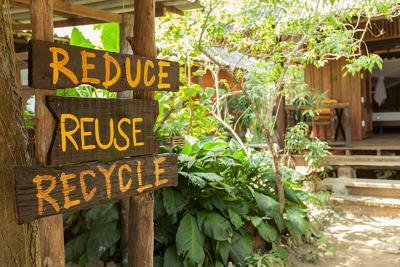 When would you like to stay at Monkey Mansion Jungalows and Tours? This bungalow features a private entrance and a balcony. Garden and mountain views can be enjoyed. This bungalow features a private entrance, balcony, dining table and seating area. Garden and mountain views can be enjoyed. This bungalow features a private entrance, balcony and seating area. Garden and mountain views can be enjoyed. House rules Monkey Mansion Jungalows and Tours takes special requests - add in the next step! Please inform Monkey Mansion Jungalows and Tours in advance of your expected arrival time. You can use the Special Requests box when booking, or contact the property directly with the contact details provided in your confirmation. They do no maintenance on the property. Shower was only a drizzle, had to use the bum gun to shower ( it had nothing to do with water pressure as the staff kept on saying, the shower head was blocked.) The fan only worked at 1/4 speed ( old and worn out). The mattress is very old and lumpy. The bungalow and surrounding jungle/ garden needs better upkeep. These are just minor things, Im writing not to warn someone, but to help them align their expectations. The road is just outside of the place, its not too noisy, but occasional bikes were quite loud. The bungalows further away from the public places didn't have wifi. And the water in the showers didnt have enough pressure, but I think its because of dry season. We didn't see any restaurants or shops close by. A little bit of money invested into the bathroom would do wonders. Nothing! Our stay was perfect, thank you. the concept of sleeping in the jungle is made real with this hostel. Rooms are built in a way that are not sealed to the exterior (e. g.: ceiling is not attached to walls). This allows insects and noises to access the room at all times. Including the bathroom. It's an amazing place. The staff is very helpful and gives great advice and tips. Also, if you go on a trip, they help you book it, they provide you from a waterproof bag, headlamps etc,.. They want you to have an amazing stay and will help and support wherever they can. The rooms are clean, and right in the jungle. 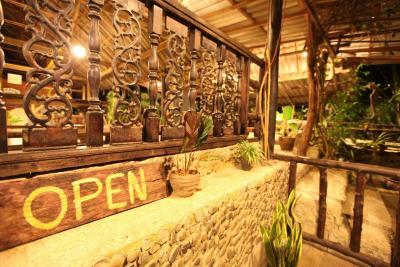 The restaurant and hang-out area is cosy and a great place to spent some time for food, drinks, and meeting new people. It's so beautiful, convenient and an adding up to make your trip even better. Very relaxed, welcoming atmosphere. The staff couldn’t have been better to me, offering advice on what to do in the area and organising my time effectively. The food served is delicious, and the huts, although basic were exactly what I was expecting. Couldn’t have been more pleased with my decision to book here.